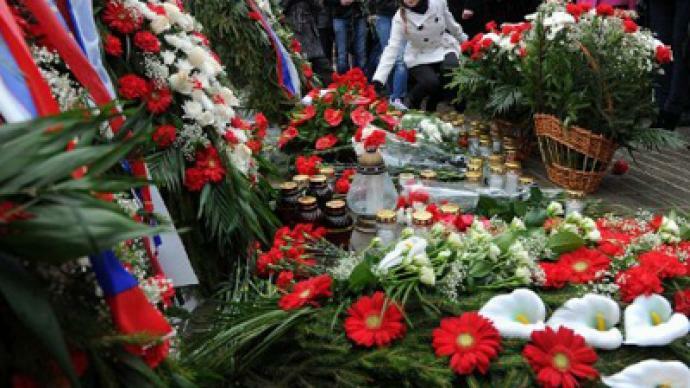 Memorial ceremonies marking the second anniversary of the Polish presidential jet crash have been held in Russia and Poland. The tragedy shook the already turbulent relations between the states, with some Polish politicians using it for their gain. 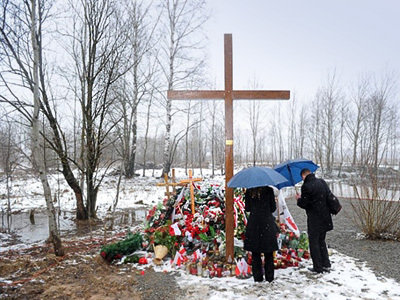 ­A Polish delegation of 150 crash victims' relatives, officials and the Minister of Culture Bogdan Zdrojewski attended a commemoration service at the site of the tragedy near Smolensk, at noon, local time. The ceremony was followed by an ecumenical prayer service held by a Catholic clergyman and an Orthodox priest. 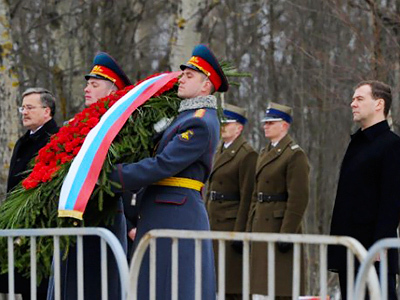 Earlier, in Poland, President Bronislaw Komorowski attended a memorial event at the military cemetery in Povonzkah, where a monument to the victims of the tragedy was erected. 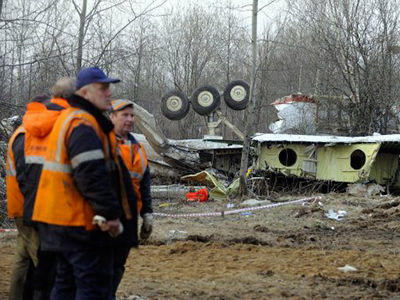 A minute of silence was held at 8:41 am local time – the moment of the crash. In Warsaw, the late Polish president's twin brother Jaroslaw Kaczynski and his colleagues and supporters lit candles and laid wreaths at the presidential palace. Friends and relatives of the victims will march through central Warsaw later this evening. 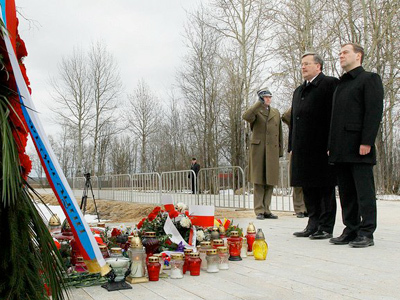 On April 10, 2010, a high-profile Polish delegation was flying to western Russia to commemorate the victims of the Katyn forest massacre of 1940, in which thousands of Polish officers were killed by Stalin's secret police. But the plane never reached its destination. 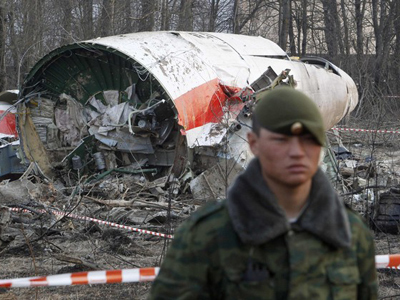 It crashed, killing all 96 passengers on board, including the president, first lady and most of the country's political elite. Separate investigations by Moscow and Warsaw both blamed bad weather and dubious decisions by the crew. The personnel were warned of heavy fog and low visibility, and asked to reroute to a different airport, but decided to land nonetheless. The psychological pressure exerted on the pilots by some of the high-ranking passengers onboard is thought to have contributed to the crew's decision to land. Transcripts from the plane’s "black box" revealed pilots were under pressure to land as soon as possible from an unknown person onboard, who said he would “go crazy” if they did not. 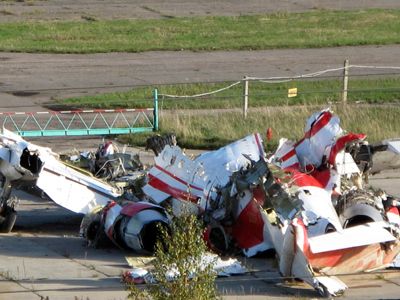 The recording also showed that a senior official entered the cockpit numerous times throughout the flight and that the Chief of the Air Force was present in the cockpit at the time of the crash. Last month, Poland’s Supreme Chamber of Control released its final report on the accident, saying Kaczynski's plane was not even authorized to carry out the flight in the first place. Smolensk airport was not listed as an active facility for the presidential flight: head of the chamber Yatsek Yazersky pointed out that landing there should have been done only after a test flight, which never took place. Following the tragedy, hundreds of thousands of Poles were stricken with grief, but for some, accepting the truth was even harder. 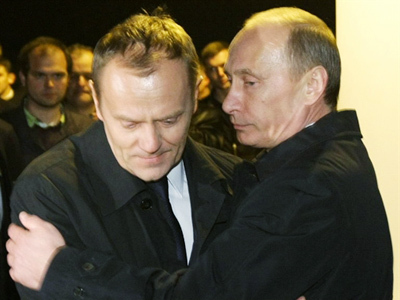 Despite the evidence and eyewitness accounts supporting the investigation, some political forces in Poland have been pointing the finger at Moscow. 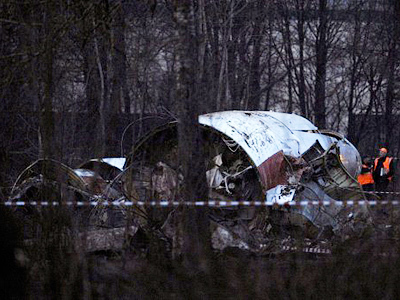 Polish right-wing parties have tried to use the Smolensk crash to score points in the presidential and parliamentary campaigns which followed the tragedy. But their failure to win votes with anti-Russian rhetoric – say experts – proves their line was not in tune with the thinking of the Polish people. For Jaroslaw Kaczynski, however, even two years on, the blame game continues. The head of the nationalist Law and Justice party has suggested many times that the tragic death of his brother might not have been an accident. On March 29, he called on EU lawmakers and leaders to investigate the accident once again, accusing Moscow of killing his brother. “If there were explosions [onboard the plane], if this catastrophe looks increasingly like an assassination, then this means there is a new quality to international politics,” Kaczynski said. On the eve of the anniversary, supporters of Jaroslaw Kaczynski rallied in front of the Russian Embassy in Warsaw. The protesters set fire to an effigy of Russia's Prime Minister Vladimir Putin, claiming the 2010 plane crash was an assassination. Warsaw’s official position, however, coincides with that of Moscow. 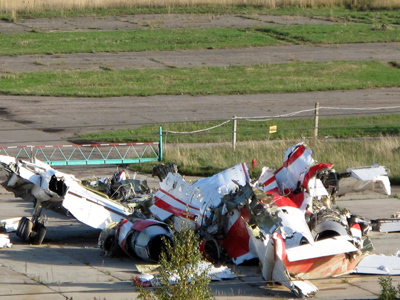 The government commission investigating the accident confirmed that the crew had committed a number of appreciable errors while performing the landing in Smolensk.